Favorite Ride: The Next One! 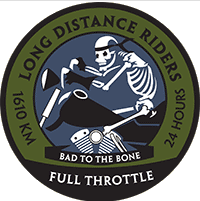 I started riding 26 years ago and first covered 1000 miles in a day while working as a motorcycle courier in the late ‘80s, but only got into long distance riding after I discovered LDR in early 2008 and completed my first Full Throttle ride. Since then I have completed a km Full throttle in Europe and two King of the Road rides in the UK, as well as several IBA rides up to an SS2000. I also got into long distance rallies, competing in several 24 hr and 36 hr rallies in the UK, Ireland and Norway in the past three years with some success. I have ridden on holiday to most of the countries in Europe and to Morocco in North Africa. Following a bad bike accident in November 2008 which left me with a broken femur I decided to organize a ride to raise money to support the work of the Air Ambulance, which is not publicly funded in the UK. 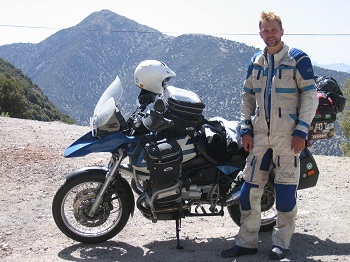 This has led me to run a number of rides and rallies through my website at www.thegrimrider.com – it also contains a number of reports on some of my rides. All of these rides have been completed on the same bike, a blue and white R1150GS which is coming up to 85000 miles on the clock. I have never been to America but would like to ride across the States one day, although the birth of my twins two days before Christmas 2010 means that this may have just become something of a more distant dream!